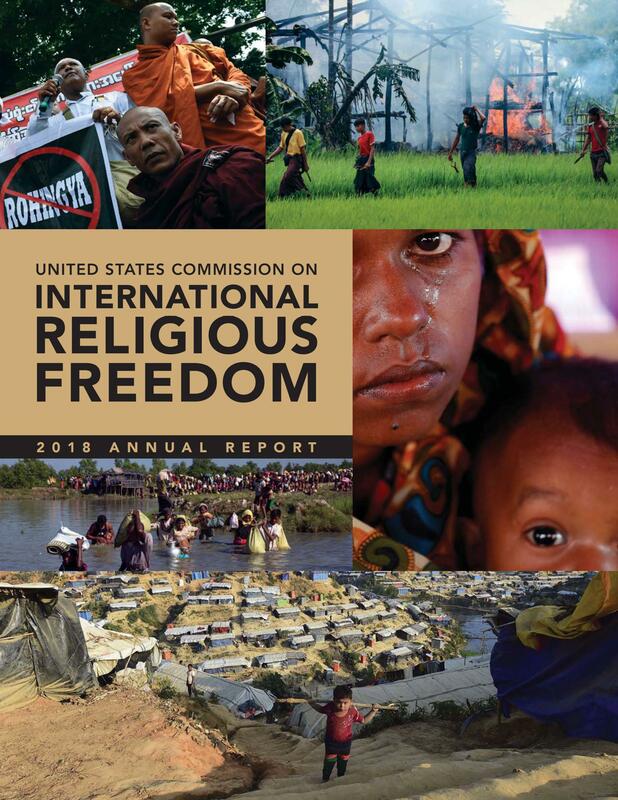 The U.S. Commission on International Religious Freedom (USCIRF) on April 25, 2018, released its 2018 Annual Report, documenting religious freedom violations and progress in 28 countries during calendar year 2017, and making recommendations to the U.S. government. The report also includes a second category, USCIRF’s Tier 2, for countries where the violations meet one or two, but not all three, of the elements of the systematic, ongoing, egregious test. In its 2018 report, USCIRF places 12 countries on its Tier 2: Afghanistan, Azerbaijan, Bahrain, Cuba, Egypt, India, Indonesia, Iraq, Kazakhstan, Laos, Malaysia, and Turkey. In addition, the report contains USCIRF’s recommendations of “entities of particular concern,” or EPCs, a designation created by the 2016 Frank R. Wolf International Religious Freedom Act for non-state actors committing systematic, ongoing, egregious violations. The act defines a non-state actor as “a non-sovereign entity that exercises significant political power and territorial control; is outside the control of a sovereign government, and often employs violence in pursuit of its objectives.” Based on their conduct and control of territory in 2017, USCIRF recommends three groups for designation as EPCs in 2018: the Islamic State of Iraq and Syria (ISIS) in Iraq and Syria; the Taliban in Afghanistan; and al-Shabaab in Somalia.